If you can’t resist this craft, but hate the thought of hurting a book, try it with magazine pages. That’s awesome! 🙂 I’ll have to try it with magazine pages. 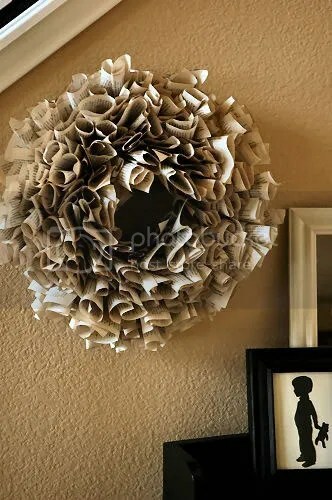 I used to make those wreaths out of fabric, I never thought of using old books! I actually kind of like it for decorating a home library or even the public library. I would love that in my reading corner. Where are you finding all this cool paper art?